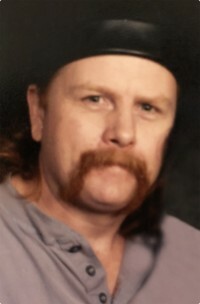 Franklin R. "Franky" Snow, Jr., 52, of Karns City, PA, passed away Wednesday, January 9, 2019, at his residence. He was born May 1, 1966, in Butler, PA, the son of Franklin R. Snow, Sr. and Helen M. (Rottman) Snow. Franky was a longtime resident of Butler County and formerly worked in construction. Family was very important to him and he helped raise his step-grandchildren, Ian and Nia. Franky loved fishing and was a "Jack of all trades" who could fix anything. He will be remembered with love by his mother, Helen M. Snow, of Fairview; wife, Lillian (Smith) Snow; daughter, Laurel Rose Snow, of Karns City; grandchildren, Ian Smith, Nia Smith, Atalia Smith, Xorian Heikes, and Antonio Smith; brother, Earl J. Snow, of Fairview; and sisters, Karla A. Nass and boyfriend, Jerald Howard, of North Washington, and Tammy Rottman and companion, Daymon Stawiki, of Chicora. Franky was preceded in death by his father. The family will receive friends from 1 PM until the time of the memorial service at 2 PM on Friday, January 11, 2019, at the Bauer-Hillis Funeral Home and Cremation Services, 102 S. Argyle St., Petrolia, PA. Locations in Kittanning, Elderton, Dayton, Petrolia and Rimersburg, Pennsylvania. Bauer Funeral and Cremation Services is proud to be the only local member of Selected Independent Funeral Homes. © 2019 Bauer Funeral and Cremation Services.